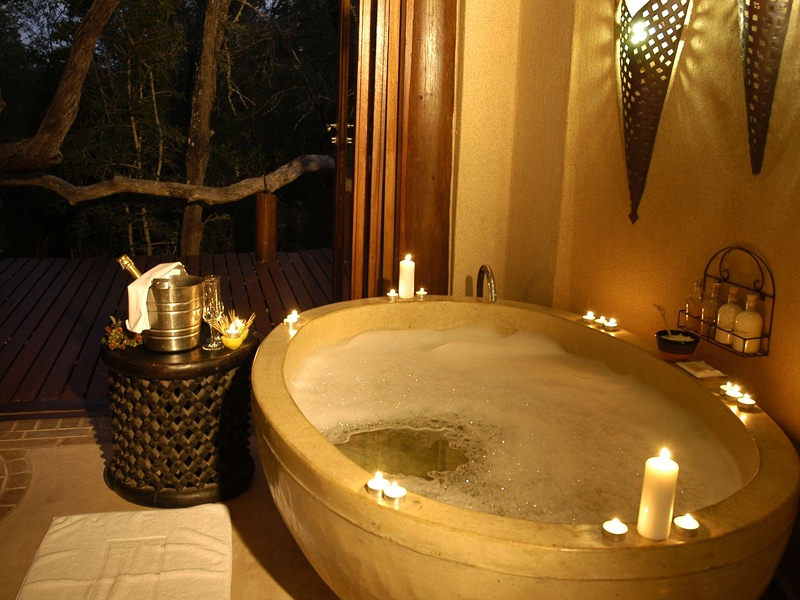 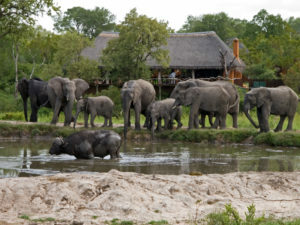 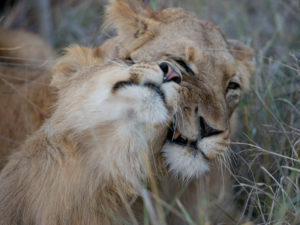 Intimate & luxurious, Simbambili Game Lodge has a riverside setting in the Sabi Sands & is ideal for romantic travel. Effortlessly blending simplicity with sophistication, Simbambili Game Lodge lies on a private concession in the northern Sabi Sands Private Reserve. 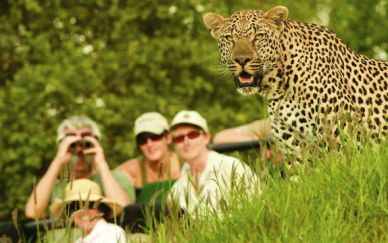 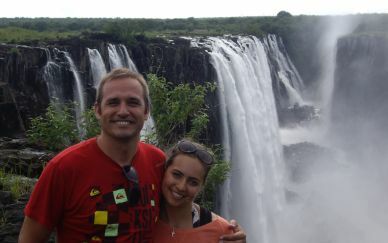 Such a location guarantees its guests not just opportunities for some of the best Big 5 viewing in Africa but an exclusive area in which to do so. 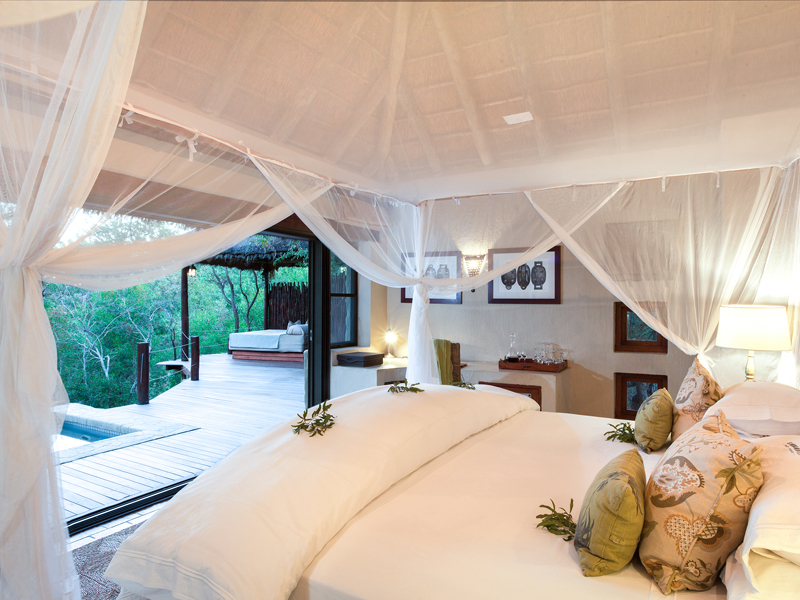 Sheltered under giant riverside trees, Simbambili has only seven chalets and a larger suite on offer. 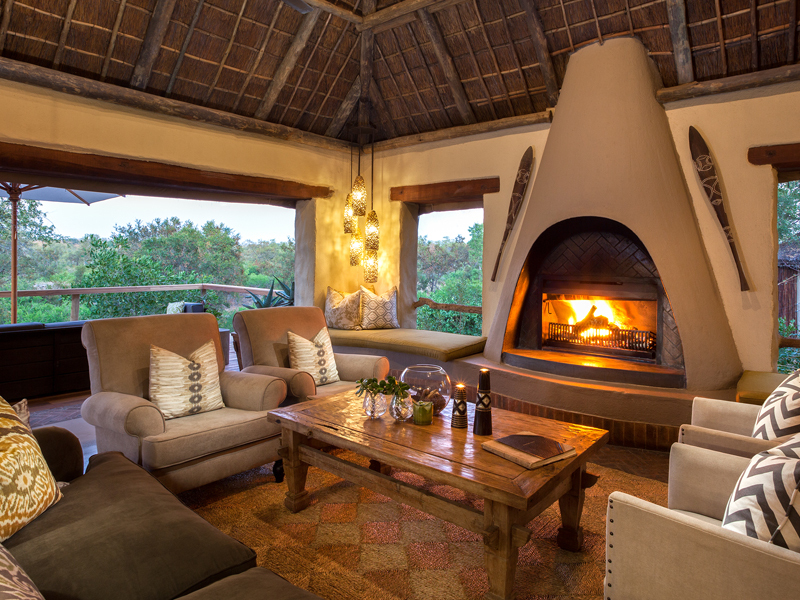 Accommodation is spacious and very well-appointed – you’ll find a grand double bed and en suite bathroom inside plus a private outdoor deck with daybed, sun loungers and a plunge pool. 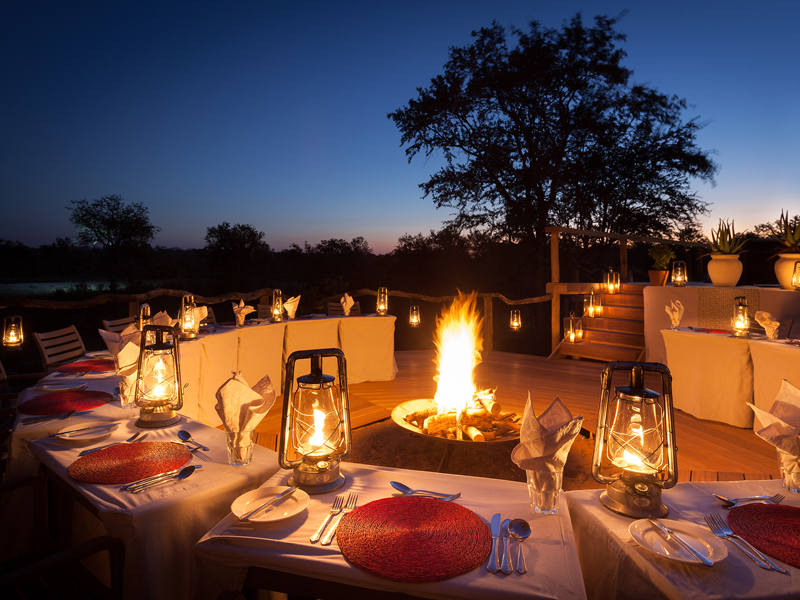 The atmosphere is intimate and the service exemplary; the lodge guides are highly skilled while the camp hosts ensure guests are spoiled with pleasant surprises such as ‘bush breakfasts’ and romantic candle-lit suppers. 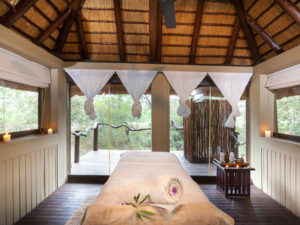 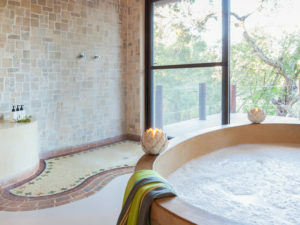 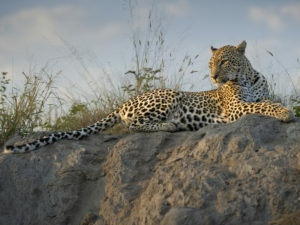 There’s a professional spa and gym at camp as well as a shaded deck overlooking a waterhole but morning and afternoon game drives beckon, expertly-led adventures in search of lion, leopard, elephant, buffalo and rhino plus a host of other exciting characters – African wild dog, sable antelope and hippopotamus. Simbambili Game Lodge is also able to offer additional activities such as guided bush walks and spot-lit night drives, both deeply enhancing your safari experience. Generally seen as an ideal Sabi lodge for couples, Simbambili also happily accepts families with children aged twelve or older. 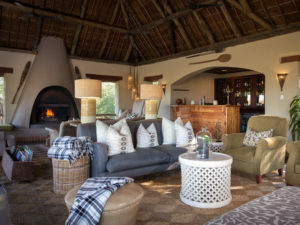 There are only seven chalets at Simbambili Game Lodge plus a Waterhole Suite, the latter complete with a cosy lounge for couples looking for an extra bit of privacy and space. Each accommodation has been positioned to face the meandering Manyeleti River and you’ll find a shaded day bed, a pair of sun loungers and even a plunge pool on your private deck – all the better to enjoy the river views. 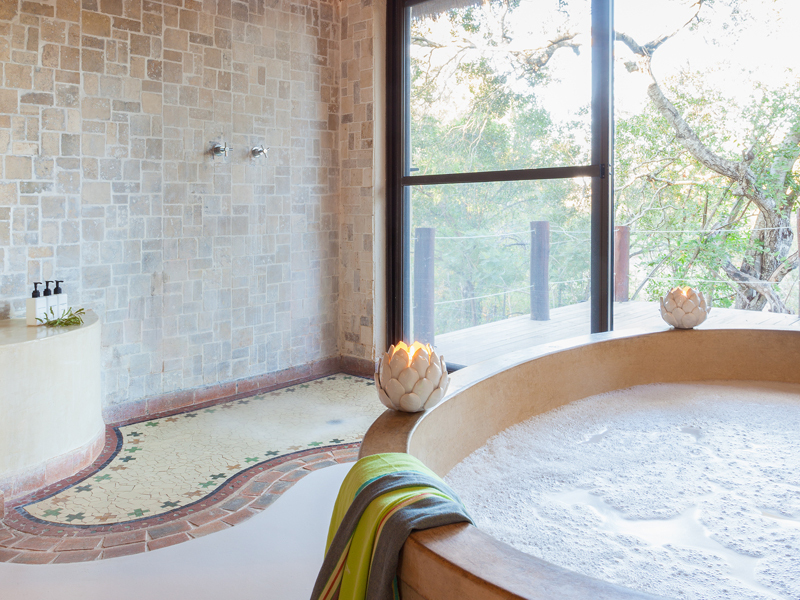 Chalets are fully en suite – bath, shower and toilet – and there is an outdoor shower on the deck for the quintessential safari shower. 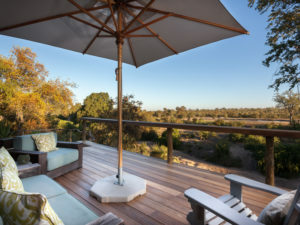 In-room comforts include air conditioning, a mini bar, a fan and plenty of opportunities to recharge camera batteries. 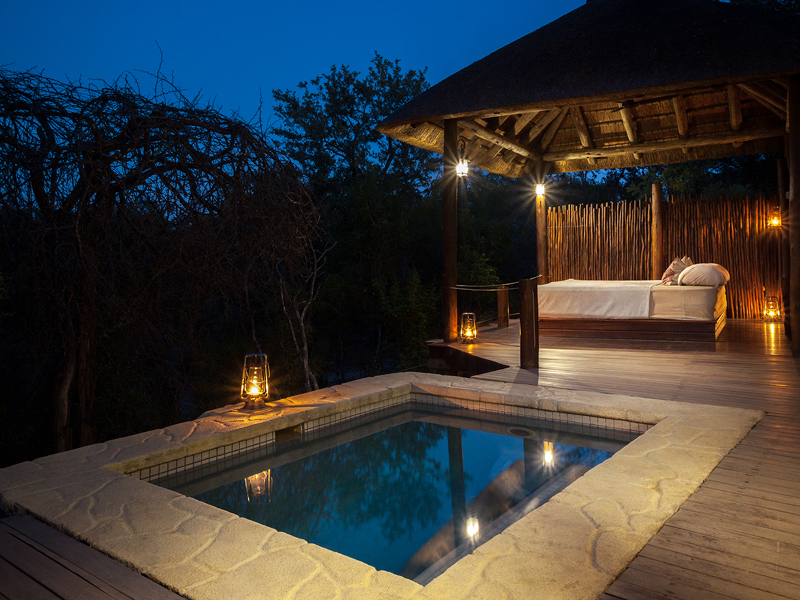 With a private plunge pool and daybed on your private deck, you may feel like spending your free time at your chalet but Simbambili Game Lodge also has an Amani Africa Health Spa and a well-equipped gym. 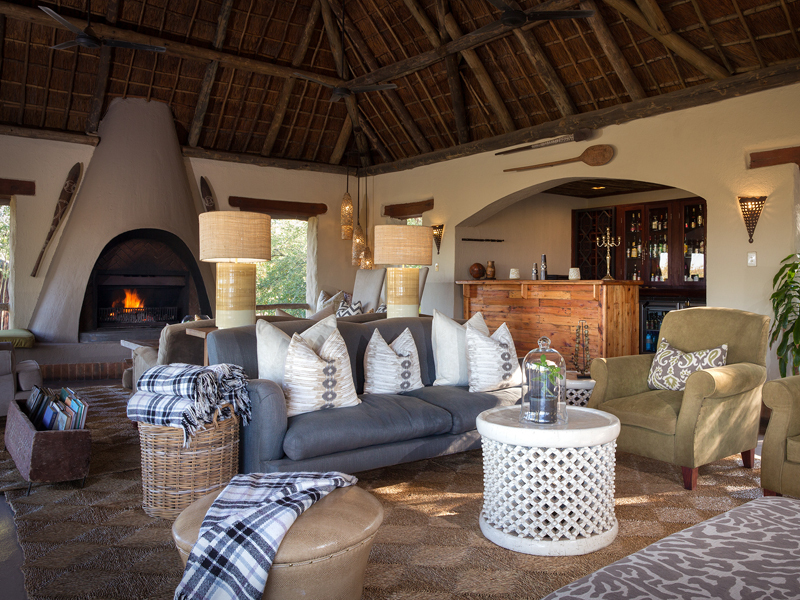 The lodge’s public areas comprise the main lounge, indoor dining area and bar but staff will often set your table up outside or even away from camp in a bush location or dry riverbed. 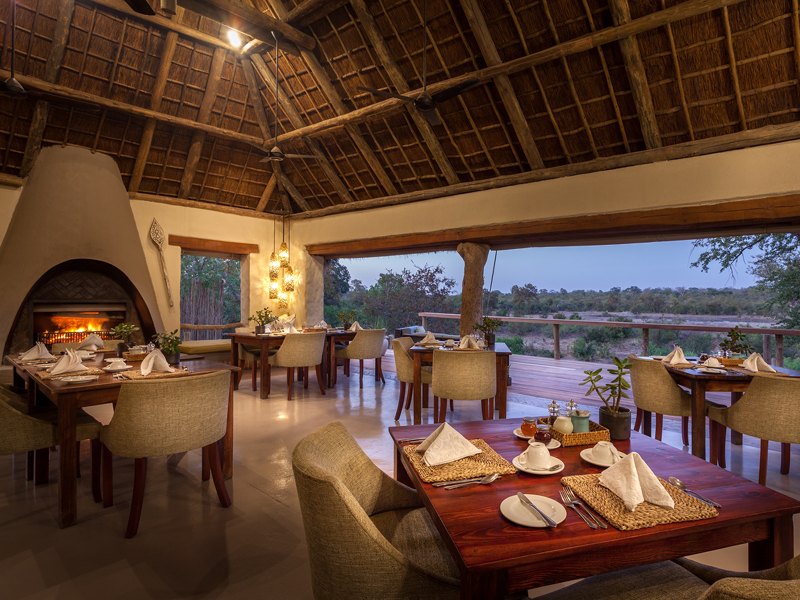 All meals and tea and coffee are included in your stay but drinks are an extra cost. 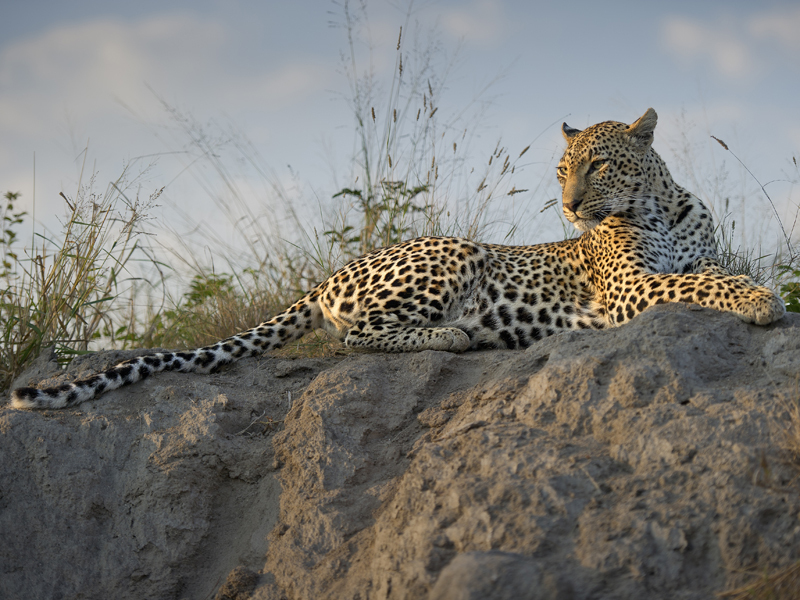 Activities at Simbambili Game Lodge revolve around the daily movements of animals, putting you in prime position for predators on the prowl and animals making their way to water. 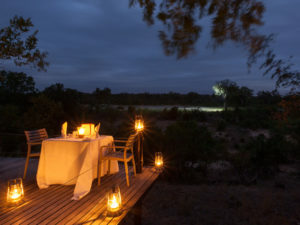 The day begins with an early morning wake-up call and enough time for tea or coffee and biscuits before you head off into the dawn light on a game drive. Returning mid-morning, you enjoy a hearty breakfast and the opportunity to go on a guided bush walk, led by local trackers – an excellent way to view to the details of the environment. 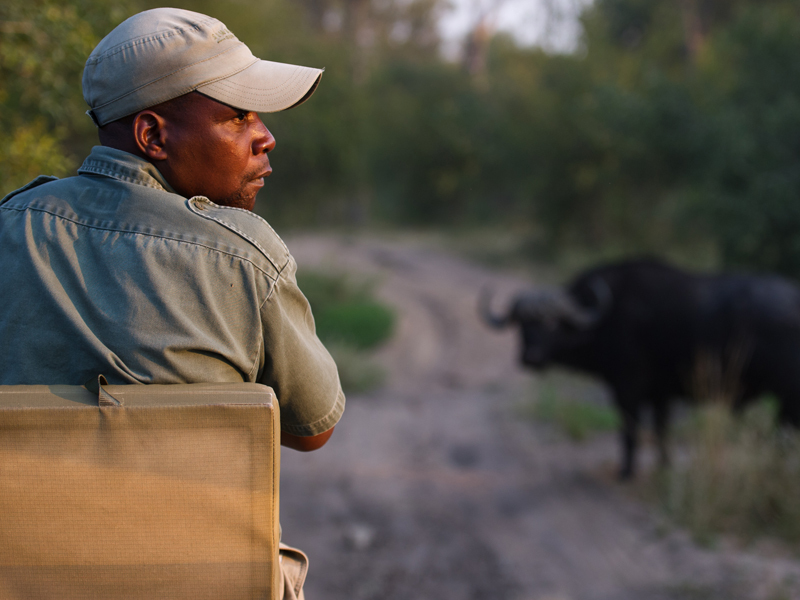 Afternoon drives balance the action of the morning; you’ll enjoy cold drinks at sunset and a spot-lit drive back to camp. Private game drives are also available – recommended for honeymooners who may want a little for flexibility in their schedule!